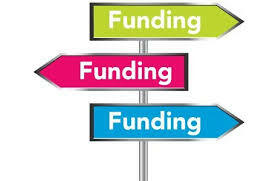 $195,000 in available pilot grant funding! The Mount Sinai NIEHS Core Center announces its fourth call for Pilot Grant proposals. The Center’s mission is to increase the Environmental Health (EH) research portfolio at Mount Sinai and to bring non-EH researchers into the field through new transdisciplinary collaborations. One $70,000 grant and five $25,000 grants will be disbursed to Mount Sinai researchers who are Core Center Members. Applications can be made to either grant program. The budget will determine which program is applicable. Research projects should deal with an issue relevant to the National Institute of Environmental Health Sciences (NIEHS) (e.g. metals, industrial solvents, endocrine disrupting chemicals, air pollution, pesticides etc.) Please see https://www.niehs.nih.gov/about/strategicplan/strategicplan2012_508.pdf for a description of NIEHS research priorities. Both basic research and population science applications are encouraged. Grantees will be expected to briefly report on research progress annually including subsequent extramural funding. To view the Pilot Project Program Application click here. For more information about our previously funded Pilot Projects click here. This entry was posted in Feature of the Month on June 12, 2017 by mountsinaitceee.